Husband and Wife Team Cade Sargent and Erica LeMaster Sargent, established Elles Designs & Consulting LLC. in 2016. Erica, the designer, and Cade the contractor. 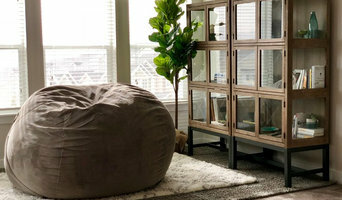 "Elles" is a growing interior & exterior home design company focused on turning houses into dream homes by creating beautiful and harmonious designs with personal touches and character. Erica is backed by the leading name in interior and exterior stone, brick, and fireplace distribution, Hearth & Home Distributors of Utah, LLC. and has worked with them as their Lead Showroom Designer for nearly a decade designing hundreds of homes including many award winning parade homes. She also works closely with several builders, subcontractors, realtors, and designers. And Cade is backed by Leading Edge Builders and CS Maintenence & Repair. And has worked in nearly seven different sub contracting fields making him our construction expert for small remodeling elements and on install days. No matter how big or small your project may be the Elles team is prepared to help you take your home to the next level. And her clients can always trust that they are getting the best service, products and designs from a well educated, and experienced designer with style and vision. At Jeske Glass, glass is more than just, "a non-crystalline amorphous solid"; it's as an amazing medium for creating form and function. The designers we work with challenge us, and we don't shy away from difficult or complicated projects. We use all available methods to ensure the job's done right, and if those can't get the job done, we'll invent new ways of doing things! This is how we create so many stunning solutions for our clients. The quality of our work is more important than cutting costs or maximizing our profits, which has garnered us a stellar reputation for frameless shower glass, custom mirrors, glass walls, and glass railings. Working with glass is our passion, and Jeske Glass customers often introduce us as their "glass guys". This word-of-mouth is how we've built our business. We want to be your "glass guy" too, so let's team up on your next glass project! While capturing your ideas of a perfect space and turning them into a reality, at Hayden‘s Grace Design it is our goal to make sure that your home feels like your own little piece of heaven on earth. We know that your home is your sanctuary and your place to unwind. It should reflect your personality and interests, while expressing hints of what means the most to you. After all, your home is where you create most of the memories of your life. It should reflect YOU in every way. At Model by Design we are passionate about providing our clients with creative, innovative and professional home staging and redesign services. Our model helps maximize resale value, reduce time on the market and transforms any house into the style you want at a price you can afford. Our approach is simple, we are not afraid to “roll up our sleeves” and work besides you to transform your house into a home. This allows us to keep our costs low and pass the savings on to you. Our mission is to be the preferred, home and living consultation team for the entire state of Utah. 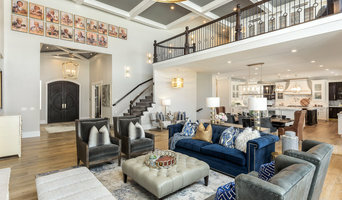 Whether you are looking to reconnect with your current home or help a potential buyer connect with your home, Model by designs can help you achieve that luxurious model home feel at affordable prices. Driven by honesty in all we do, Landmarks West ensures your project the highest degree of craftsmanship from the industry's most respected professionals. We truly believe it takes a unified team, between contractor and client, to build your custom home. Because of this, we allow you to be as however involved in the project as you would like to be. With Landmarks West you see every every quote, invoice and report for your home allowing you to compare and choose between subcontractors. We focus on producing unparalleled quality, on budget and in a timely manner. Please contact us today to discuss options and a free personalized quote. At Fine Design Construction, we strive for superior quality and service in custom home building and home renovation. Jordan has been in construction his whole life, learning all the different construction trades from an early age. He started Fine Design Construction in 2002 and from the early stages of the company has always strived for excellence in every project, no matter the size. Also a self-taught interior designer, Jordan brings a unique skill set to every construction or remodel project. He has a passion for design and loves exploring all the design possibilities with his clients to make sure they get the best design possible for their living space. Our eye for detail and interior design coupled with excellent craftmanship and woodwork helps us exceed your expectations and provide you with an excellent experience. From kitchens and bathrooms to add-ons and basements, we can help build your new custom home or remodel your current home from the roof down to the foundation. But before you start sending out dozens of emails and making phone calls, sit down and think about your project. What's your budget? What is the scope of your project? 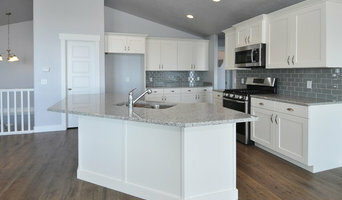 Will you need more than one type of professional to complete your home improvement project in Lehi, UT? Can you afford to complete the full project now, or should you tackle it bit by bit? Once you've settled on your project’s priorities, budget and scope, it's time to start researching Lehi, UT home design professionals. Don't sell yourself short and settle on the first professional you set your sights on. Make sure that you're working with someone local, who can get to the jobsite easily and efficiently. Look into the person’s reviews, ask to speak with former clients and to see previous jobs in person. Take a good look at their portfolio photos: How similar are these projects to your own? Be honest — that mansion might look beautiful, but it might not have a lot in common with your little bungalow. Reach out to multiple professionals — especially for larger projects — and don't settle for the first bid you hear. Comparing multiple Lehi, UT professionals' bids and experiences can help you find the one that’s best for you. Ask a lot of questions now, so you won't have unexpected answers later. Find a home design professional on Houzz. Narrow down your search by type of professional and location. 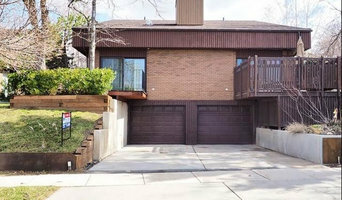 Browse Lehi, UT portfolio photos, read client reviews and contact each Lehi, UT professional for more information. Check out the information in the specialized professional sections too for tips on how to hire the right professional for your project.